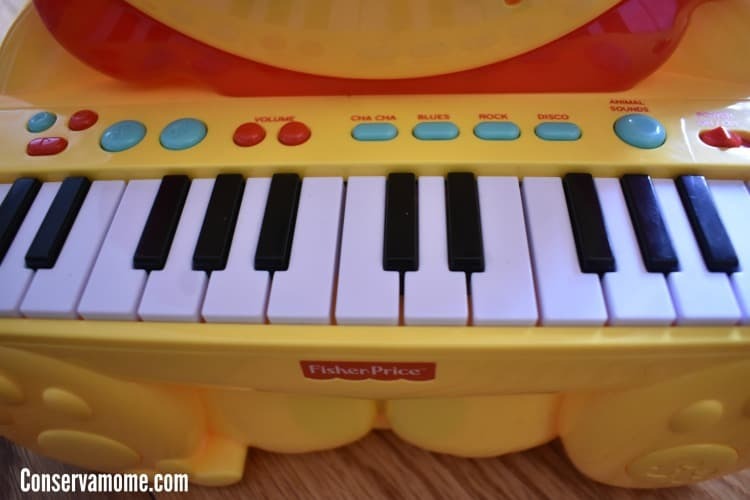 Find out why the Fisher Price Lion Piano is a fun addition to any little budding musicians collection. This Post sponsored by Mirum but all opinions are my own. Little ones love to dance to the rhythm of their own song. My 2 little ones start dancing as soon as they hear music come on the radio. Give them some pots and pans and they’re ready to create their own jams. There’s been many times when I’ve found them trying to comandeer their sister’s electric keyboard to no avail. 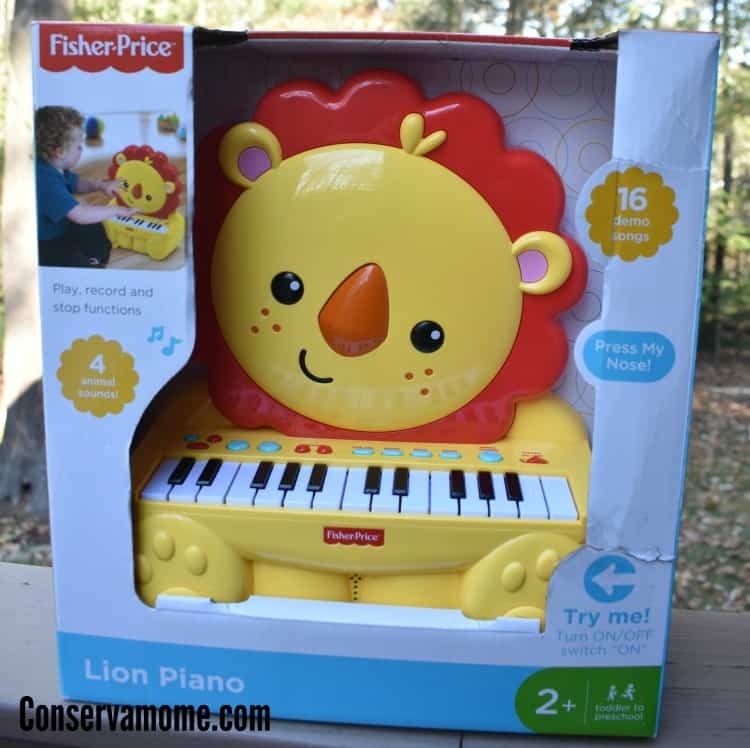 Thankfully, the days of going after other people’s instruments are now over thanks to the amazing Fisher Price Lion Piano. 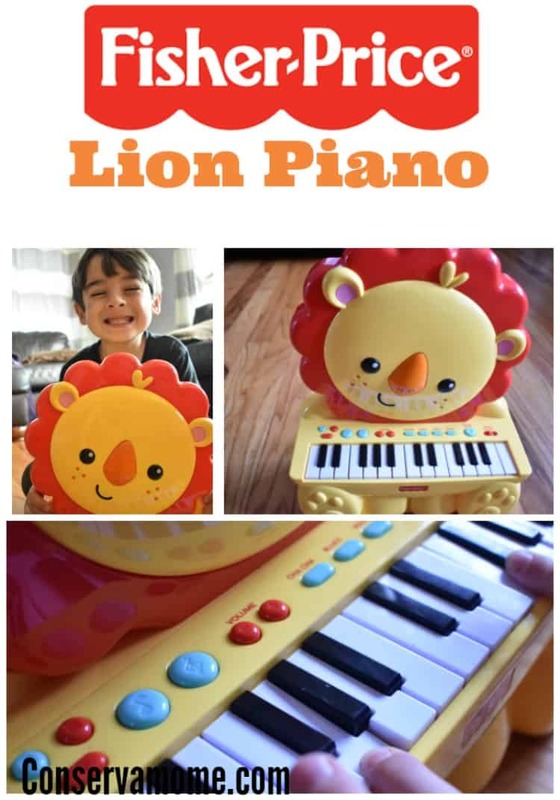 T. This sweet little lion piano has brought so many hours of fun to my guys making this a huge hit for them to play and enjoy! 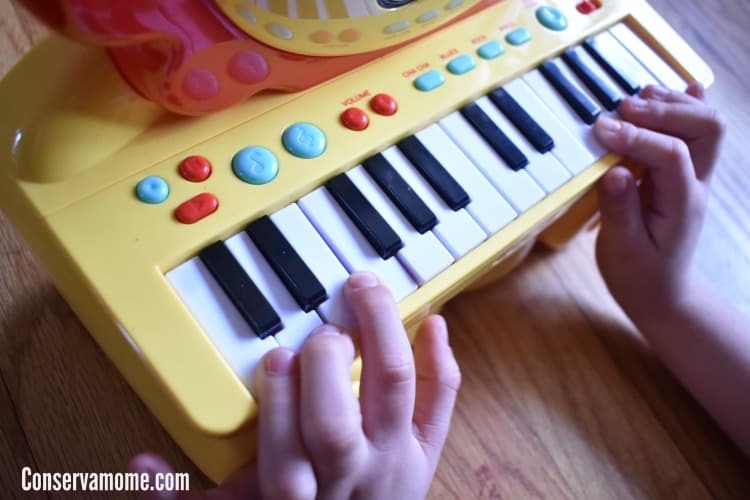 This fun piano has 32 keys and features four drum and animal sounds and eight instruments and rhythms. It also plays 20 songs and has a button for demo select/demo all. Not only can your little one jam to some fun music but they’ll get their chance at some fun beats adding their own compositions to them. The tempo up/down function increases the speed of the playback giving your little one complete creative control of what they play. It also has record and stop functions and volume up/down for adjusting the level of sound. This piano is so complete even older kids will enjoy playing with and believe me they will. There’s been times I’ve got the older siblings playing with it and really enjoying all the features. 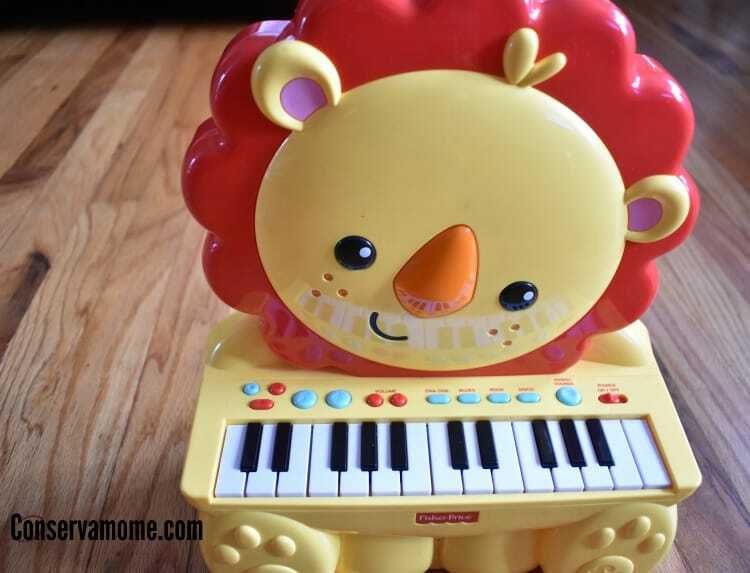 It may look little but this lion piano packs a mean musical punch. This item requires three AA batteries to operate (included). Which is awesome because it’s ready to go when your little one unwraps it this holiday season. It is designed for children aged 2 years and older. You can find this fun toy at Walmart. Make sure and pick it up for your little one to enjoy. Walmart has something for every kid on your shopping list this Holiday season. Whether they’re bike riders, fashionistas, thrill seekers, sweet dreamers or music aficionados, Mattel has you covered. This looks like a great idea for our younger son when he’s old enough. We have so many toys it’s going to be hard to get a special one for him, and this looks like a great idea! 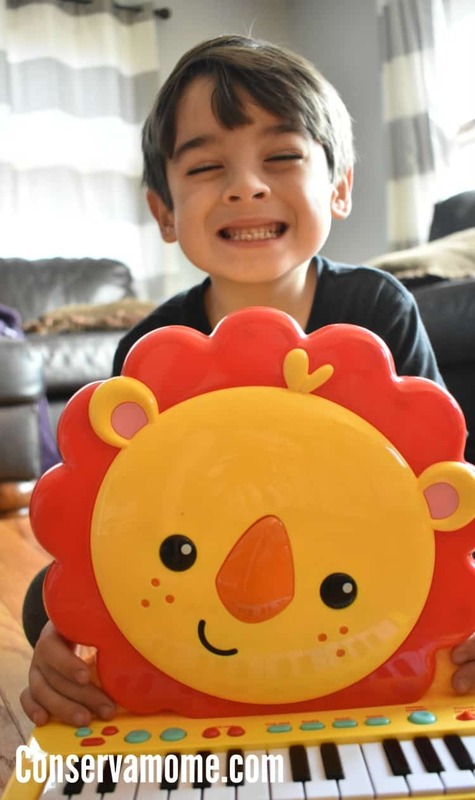 This is a great toy for toddlers! This is so cute!! My oldest is taking piano lessons & the 2nd kiddo wants to be just like big sister. She would love playing on this!! I think it would get lots of use from baby #3 too. Great Christmas idea! This is cute! My husband is a musician and would like our son to be into music as well so this is a great way to an early start! This is so cute and would make the perfect gift for my daughter! What a perfect little piano for budding artists!! This is something any kiddo would really love. Making music is just the best and so fabulous for learning!! I love that it’s set up like a little grand piano but an adorable lion! Super cute!